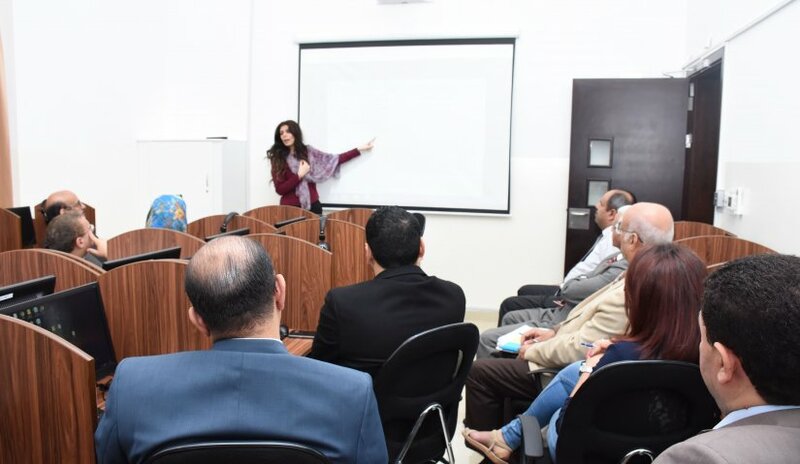 As part of professional development, Quality Assurance Committee from Al Falah University organized a training workshop on how to use "Turnitin" program which contributes to the marking and evaluation of the students’ submissions. Ms. Ghaida Rawashdeh, Head of General Education Department headed the workshop. Al Falah University’s management enables members of the academic body and enhances the level of their performance by providing training and workshops to achieve the required professional standards, efficiently and effectively.